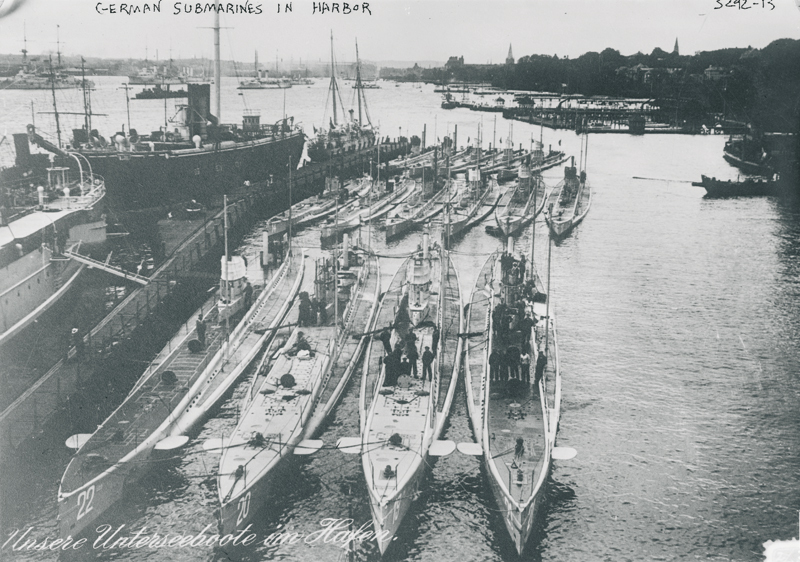 The U-boat Campaign led by Germany from 1814 to 1918 started in response to British naval blockade of Germany at the beginning of the war. The campaign fought by German submarines initially aimed to sink capital ships of the British Grand Fleet quickly turned to unrestricted submarine warfare as merchant ships were also targeted regardless of their nationality. RMS Lusitania was commandeered by the Royal Navy at the beginning of the war as auxiliary cruiser continued its transatlantic passenger services for the Cunard Line. On 7 May 1915, due to Liverpool on 6 May, RMS Lusitania was torpedoed off the Old Head of Kinsale, Southern Ireland, by the German U-boat, U-20 and sent to the bottom in a mere 18 minutes, claiming 2001 lives, including 123 Americans. “Condemning a most ghastly crime”, the American press pointed the finger to Germany for its barbaric act against nationals of a neutral State. President Woodrow Wilson threatened to declare war on Germany and its allies. Kaiser Wilhem II stopped, at least temporarily, his unrestricted submarine warfare. Following the disaster, the British, American, German governments and the Cunard Line sought to place responsibility for the sinking. To this day, specialists are still divided on the reasons that led to the sinking of the Lusitania. In order to stop the delivery of military equipments destined to assist the powers of the Triple Entente, an aggressive campaign of industrial sabotage was unleashed by the German government on the United States of America through a well-organized spy network. 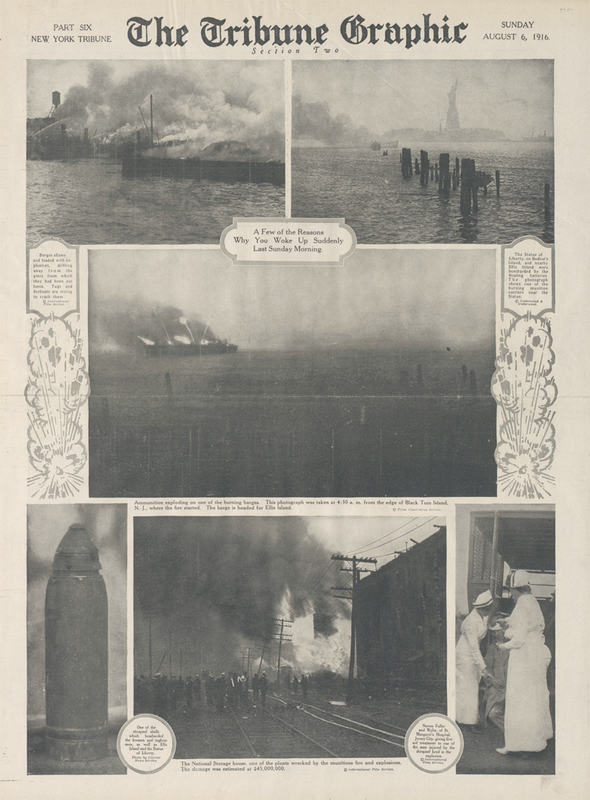 One of the most spectacular sabotage events occurred on 30 July 1916 in New Jersey where a large depot resting atop Black Tom Island blew up in the early hours. The depot was serving as the transit point for arms and ammunition shipments to Europe. With the use of pencil bombs, more than 1 million pounds of ammunition and TNT stored in freight cars and on barges detonated with a force of a 5.5 magnitude earthquake. After the war, Lehigh Valley Railroad which owned the depot sought damages against Germany from the German-American Mixed Claims Commission, as agreed in the U.S. -German Peace Treaty signed Berlin on 25 August 1921. The final payment was made by the Federal Republic of Germany in 1979. On 16 January 1917, Arthur Zimmermann, German Secretary of State, addressed a coded telegram to the German Ambassador to the United States, Johann von Bernstorff with instructions to relay it to Heinrich von Eckardt, Resident Minister for the German Empire in Mexico who, in turn, was to hand it over to the Mexican government. In the telegram, Germany promised to restore Mexico its lost American territories in exchange of agreeing to enter the conflict as a German ally should the United States declare war to Germany. The telegram was intercepted by the Royal Navy and decrypted by the 40 O.B. cryptographers on 22 February 1917. In order to protect their intelligence from detection, the British passed to the U.S. ambassador to Britain a copy of the Zimmermann Telegram wired to the German Legation in Mexico City via commercial telegraph. 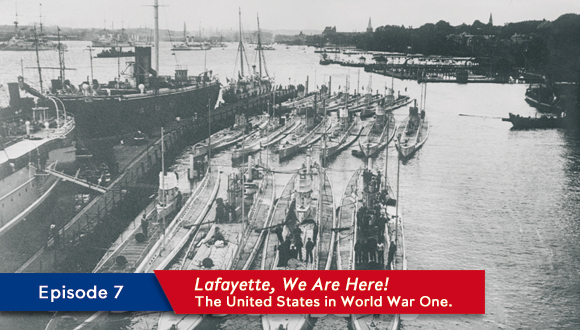 On 1st March 1917, the State Department transmitted it to President Wilson who authorized its publication in the press. The news heightened tensions between the United States and Mexico while many American declared it to be forgery. However, on 3 and 29 March 1917, Arthur Zimmermann confirmed its authenticity in order to justify his actions. On 2 April 1917, President Wilson appeared in front of a special joint session of Congress and asked for a declaration of war against Germany. On 6 April 1917, the United States Congress formally declared war against Germany with a resolution passed 82 to 6. The entry of the United States into World War One was a result of a complex series of events, the developments of the war and the American opinion, greatly influenced by the press.